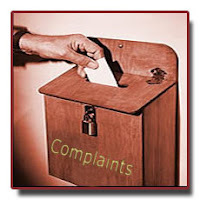 Once Again: Let Us Be the First to Complain ! In a few days, possibly late Friday afternoon, we guess the White House will dump a handful of tepid, obligatory "Christmas pardons." It may not happen, of course, but 1 of every 2 individual acts of clemency granted over the last 39 years has been granted in the month of December (chart) and it is fairly rare for a president to go the entire month without granting at least one (chart). We would also expect most (if not all) of the acts of clemency to be pardons (as opposed to commutations of sentence) and that the recipients will be persons convicted of minor / non-violent offenses, years (if not decades) ago. The pardons will thus simply restore their rights as they ride through retirement. These acts (should they even emerge) will represent a very unimpressive punctuation mark to a sorry effort by the Obama administration or, as it is known, the administration of "hope and change." President Obama waited longer than any Democratic president in history to grant his first pardon (chart). Chances are, even with a few more pardons at the end of this week, his first term will log in as one as the most merciless since the single term of John (unpopular-war-Alien-Sedition-Acts-last-minute-appointment) Adams (chart). The law-and-order obsessed Richard Nixon granted 1 out of every 3 applications filed during his administration. The just-say-no-war-on-drugs Ronald Reagan granted 1 of every 8 applications. Even the death-penalty-Texan George W. Bush granted 1 in every 55 applications. President Obama, on the other hand, has granted 1 pardon or commutation of sentence for every 328 applications ! The life story of Obama's paltry 22 pardons and 1 commutation of sentence is revealing. On average, each application spent 3.4 years bouncing around the DOJ bureaucracy. After that, on average, the applications spent 291 days just laying around the White House. Of course, this is all extremely ironic, given the President's evident need to proclaim, in public appearances, that America is a place that believes in "second chances." Perhaps the President intends to only refer to turkeys, Michael Vick or ... himself ! "If you're convicted of a crime involving drugs, of course you should be punished. But let's not make the punishment for crack cocaine that much more severe than the punishment for powder cocaine when the real difference between the two is the color of the skin of the people using them." Although no super majority of Congress has ever stood, or could ever stand, in his way, the President has shown no evidence of using the pardon power to demonstrate the slightest measure of sincerity behind those words. Clemency applications are simply not on the President's "second chance" radar. ... fell substantially short of the high standards to be expected of Department of Justice employees and of the duty that he owed to the President of the United States. Those who follow the clemency process were hardly surprised. How sad is that? We would so love to be praising the president, a few days from now, as he hands down a significant number of pardons, which evidence a clear concern for policy flaws and failures. We would so love to see him use the check and balance that the Founding Fathers assigned to his office - and with good reason. Serious, intelligent use of a power as much in need as ever, would be wonderful. But, as things stand, we have very little hope that there will be anything like change.